Kansas City, Mo. 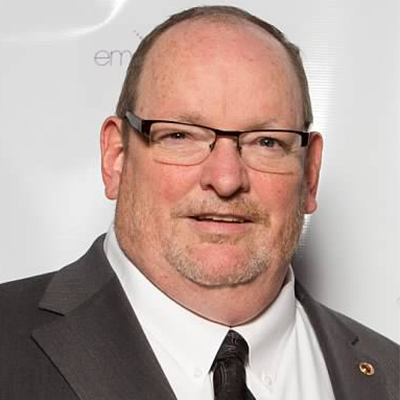 – The Flexographic Technical Association (FTA) awarded Lonnie Robinson, Director of Research and Development for Tension Corporation, with its 2015 Distinguished Service accolade upon completion of his two-year term as the FTA’s board of directors chairman. The FTA annually recognizes board members who exemplify and contribute to the organization’s vision. Joining the FTA board of directors and the Foundation of Flexographic Technical Association (FFTA) board of trustees in 2010, Robinson helps plan the organizations’ long-term, strategic paths. Robinson’s role includes supporting Cisternino’s decision-making processes and submitting approval on budgets, major expenditures and FTA print projects. Tension’s involvement with the Flexographic Technical Association has flourished over three decades. Bert Berkley, Tension Chairman of the Board, also served as an FTA board member from 1995-1997. Having received the FTA President’s Award in 2012, Robinson most recently served on the committee of judges for the FTA Flexo Awards and currently chairs the FTA’s 2015 Fall Conference. Since joining Tension Corporation in 1979, Robinson has grown with the company through five promotions, from an entry-level pressman to his current role as director of research and development. His active industry involvement extends to the Envelope Manufacturers Association, from whom he received the 2012 Daniel H. Lipman Member-of-the-Year Award. Flexographic Technical Association (FTA), chartered in 1958, is a professional society dedicated to bringing all members of the flexographic printing community—printers, suppliers, consumer product companies, institutions, prepress houses and others—together by providing opportunities for the free exchange of technical ideas and discussion of mutual concerns. It is a proponent of maintaining and advancing quality standards and includes 1,650 member sites that represent more than 1,400 companies and 60,000 individuals. Foundation of FTA, founded in 1974, is the educational arm of FTA and is dedicated to supporting and advancing the flexographic printing industry. For more information visit www.flexography.org.